Who lived in a beautiful palace. We asked why, but the King wouldn’t tell us. Invited me up to the palace. Which was served in the King’s silver chalice. Gets angry when e’er Alice dates me. From her window to ground – ladder roping. For his hot cocoa we have been doping. Doesn’t pay for a princess to marry. For Alice’s brain – it was addled. On the 11th of June 1770 HMS Endeavour under the command of Captain James Cook grounded on the Great Barrier Reef off the east coast of New Holland (Australia). 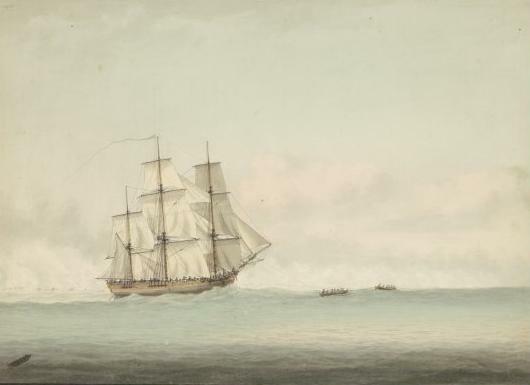 The Endeavour came close to sinking but was eventually refloated and beached at Endeavour river for repairs, Cook in his log described the passage between the reef and the mainland as an “Insane Labyrinth”. With shoals and islands all around. Then strikes the reef! – they’re stuck aground. The bark Endeavour, must be freed. And haul her bow upon the beach. And gaze upon the hopeless sight. Of danger beckoning them there. He’ll not surrender to despair. ‘Round obstacles they thread their way. For passage through that reef they pray. Then eyes that strain, see – there the reef it breaks! As now the wind from shore it blows. Then safe in open sea makes way. The strength and courage of these few. No chance to change or to up the score. If given this chance what would you do? Or with your memories, be content?